Freda Bedi had a big heart and a big life. An English head prefect and Oxford graduate, a devoted Indian wife and doting mother of three, a hands on social worker and investigative journalist, a university teacher and Tibetan translator, a Gandhi satyagraha and Buddhist nun: who was Freda Bedi, Gelongma Palmo, affectionately called Mummy-la by all the Tibetans including His Holiness the 16th Karmapa and His Holiness the Dalai Lama? Who was this lady who tread so lightly yet left an indelible footprint, obscured but not forgotten? 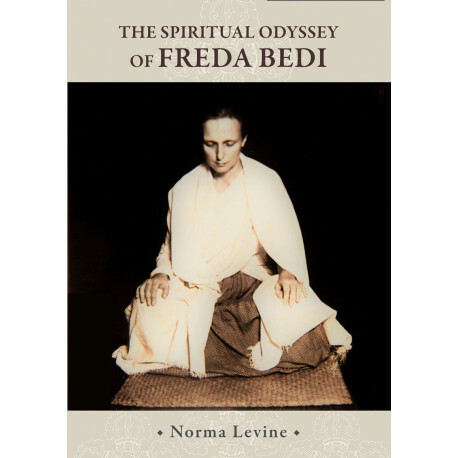 Fearless even in death, Freda died sitting in meditation with no rigor mortis, her body remaining supple for four days with warmth around the heart.